Sculpture of Shakyamuni Buddha touching the earth at the moment he reached enlightenment. 11th-12th century, Central Tibet. Brass with colored pigments. Photo courtesy of The Met. Buddha is not a name, but a title. It is a Sanskrit word that means “a person who is awake.” What a buddha is awake to is the true nature of reality. Simply put, Buddhism teaches that we all live in a fog of illusions created by mistaken perceptions and “impurities” — hate, greed, ignorance. A buddha is one who is freed from the fog. It is said that when a buddha dies he or she is not reborn but passes into the peace of Nirvana, which is not a “heaven” but a transformed state of existence. Most of the time, when someone says the Buddha, it’s in reference to the historical person who founded Buddhism. This was a man originally named Siddhartha Gautama who lived in what is now northern India and Nepal about twenty-five centuries ago. The Bodhi Tree, where the Buddha attained enlightenment, in Bodhgaya, India. Photo by Margie Savage. The traditional story begins with Siddhartha Gautama’s birth in Lumbini, Nepal, in about 567 BCE. He was the son of a king, raised in sheltered opulence. He married and had a son. Prince Siddhartha was twenty-nine years old when his life changed. In carriage rides outside his palaces he first saw a sick person, then an old man, then a corpse. This shook him to the core of his being; he realized that his privileged status would not protect him from sickness, old age, and death. When he saw a spiritual seeker — a mendicant “holy man” ― the urge to seek peace of mind arose in him. He sat in meditation beneath “the Bodhi tree” until he realized enlightenment. From that time on, he would be known as the Buddha. The prince renounced his worldly life and began a spiritual quest. He sought teachers and punished his body with ascetic practices such as extreme, prolonged fasts. It was believed that punishing the body was the way to elevate the mind and that the door to wisdom was found at the edge of death. However, after six years of this, the prince felt only frustration. Eventually, he realized that the path to peace was through mental discipline. 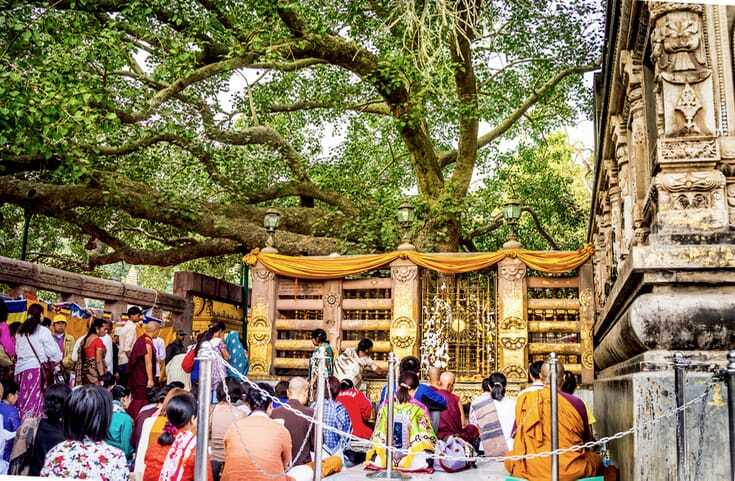 At Bodh Gaya, in the modern Indian state of Bihar, he sat in meditation beneath a ficus tree, “the Bodhi tree,” until he awakened, or realized enlightenment. From that time on, he would be known as the Buddha. 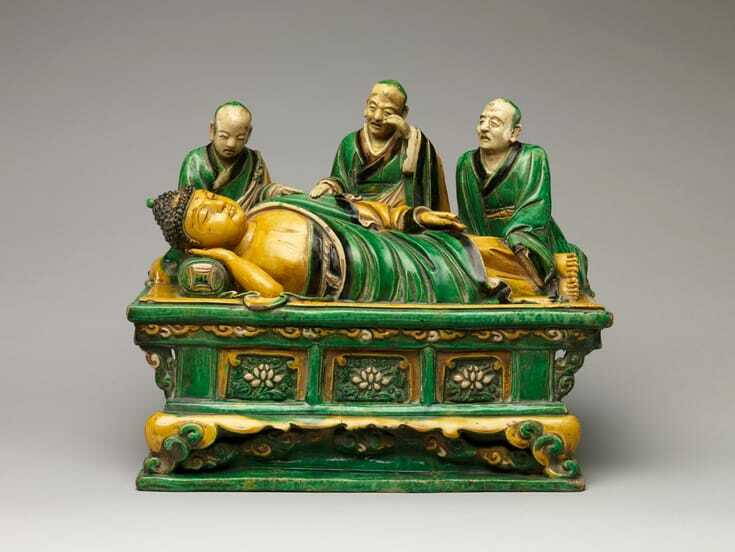 Stoneware sculpture of the Buddha attaining final transcendence, known as parinirvana, as he died. c. 1503, by Qiao Bin. Photo courtesy The Met. He spent the rest of his life teaching people how to realize enlightenment for themselves. He gave his first sermon in modern-day Sarnath, near Benares, and then walked from village to village, attracting disciples along the way. He founded the original order of Buddhist nuns and monks, many of whom became great teachers also. He died in Kushinagar, located in what is now the state of Uttar Pradesh in northern India, about 483 BCE. The traditional story of the Buddha’s life may not be factually accurate; we have no way to know for certain. Historians today generally agree there was a historical Buddha, and that he lived sometime in the 4th through 6th centuries BCE, give or take. It’s believed that at least some of the sermons and monastic rules recorded in the oldest scriptures are his words, or something close to his words. But that’s as far as most historical scholars will go. One of the Buddha’s arhats. 19th century, China. Wood with pigment. Photo courtesy of The Met. In Theravada Buddhism ― the dominant school of southeast Asia ― it is thought there is only one buddha per age of humankind; each age is an unimaginably long time. 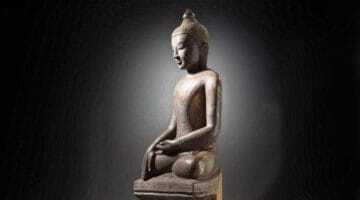 The buddha of the current age is our historical Buddha, Siddhartha Gautama. 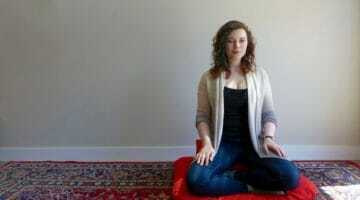 Another person who realizes enlightenment within this age is not called buddha. Instead, he or she is an arhat (Sanskrit) or arahant (Pali) — “worthy one” or “perfected one.” The principal difference between an arhat and a buddha is that only a buddha is a world teacher, the one who opens the door for all others. Early scriptures name other buddhas who lived in the unimaginably long-ago earlier ages. There is also Maitreya, the future Buddha who will appear when all memory of our Buddha’s teachings has been lost. There are other major traditions of Buddhism, called Mahayana and Vajrayana, and these traditions put no limits on the number of buddhas there can be. However, for practitioners of Mahayana and Vajrayana Buddhism the ideal is to be a bodhisattva, one who vows to remain in the world until all beings are enlightened. 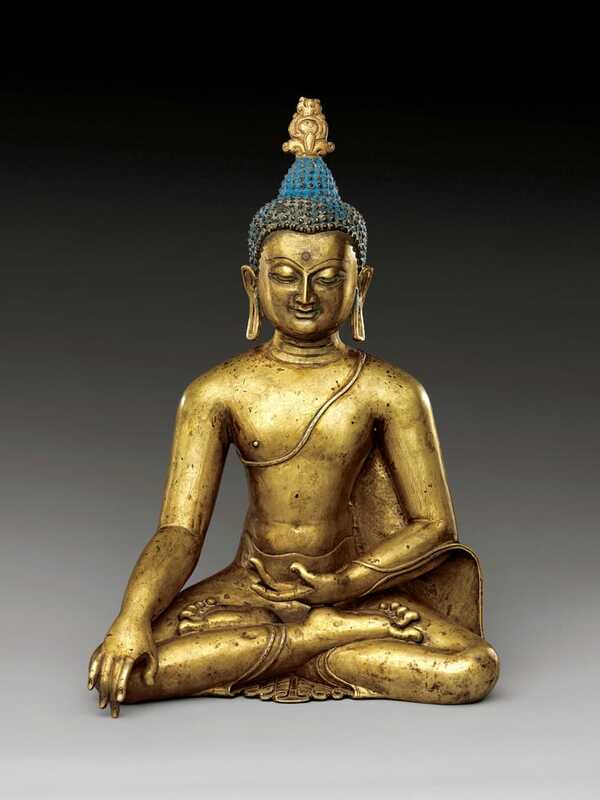 What About Buddhas in Buddhist Art? Amitabha in Sukhavati. 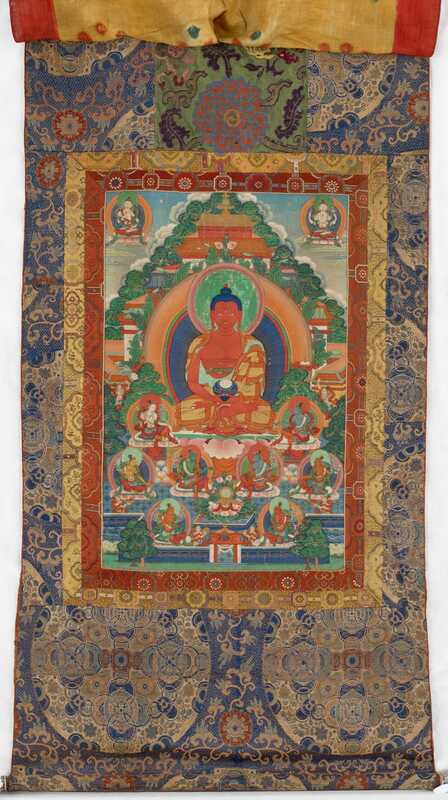 Thangka from Central Tibet. Courtesy of Freer Sackler. There are multitudes of buddhas, especially in Mahayana and Vajrayana scriptures and art. They represent aspects of enlightenment, and they also represent our own deepest natures. Some of the better known iconic or transcendent buddhas include Amitabha, the Buddha of Boundless Light; Bhaiṣajyaguru, the Medicine Buddha who represents the power of healing; and Vairocana, the universal or primordial Buddha who represents absolute reality. The way the buddhas are posed also convey particular meanings. A small sculpture of Hotei, the laughing monk commonly misidentified as the historical Buddha. 19th century, Japan. Photo courtesy of The Met. 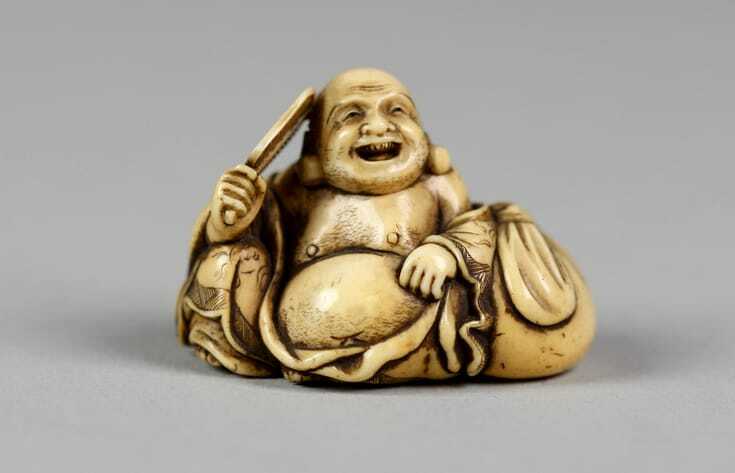 The bald, chubby, laughing fellow many Westerners think of as Buddha is a character from tenth-century Chinese folklore. His name is Budai in China, or Hotei in Japan. He represents happiness and abundance, and he is a protector of children and the sick and weak. 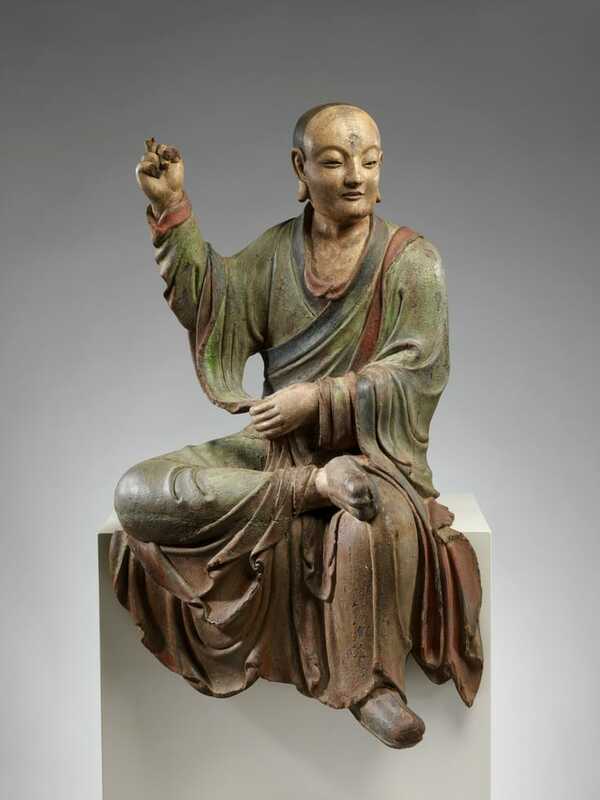 In some stories he is explained as an emanation of Maitreya, the future Buddha. 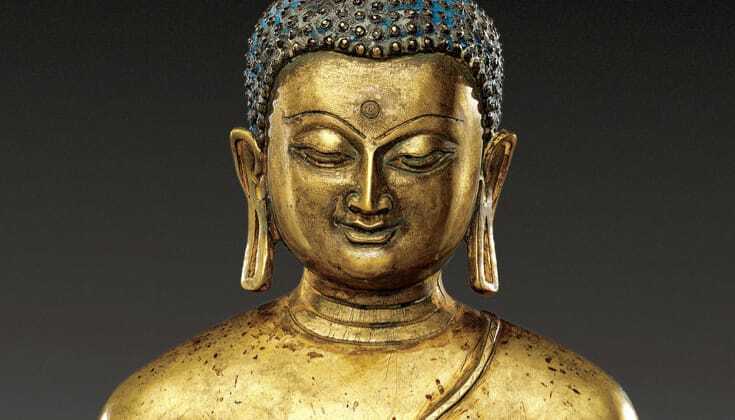 The Buddha was not a god, and the many iconic figures of Buddhist art are not meant to represent godlike beings who will do you favors if you worship them. The Buddha was said to be critical of worship, in fact. In one scripture (Sigalovada Sutta, Digha Nikaya 31) he encountered a young man engaged in a Vedic worship practice. The Buddha told him it’s more important to live in a responsible, ethical way than to worship anything. You might think of worship if you see Buddhists bowing to Buddha statues, but there’s something else going on. 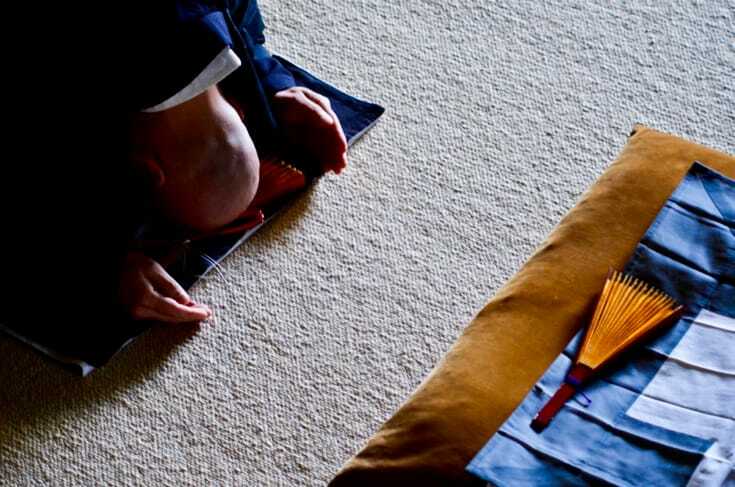 In some schools of Buddhism, bowing and making offerings are physical expressions of the dropping away of a selfish, ego-centered life and a commitment to practice the Buddha’s teachings. 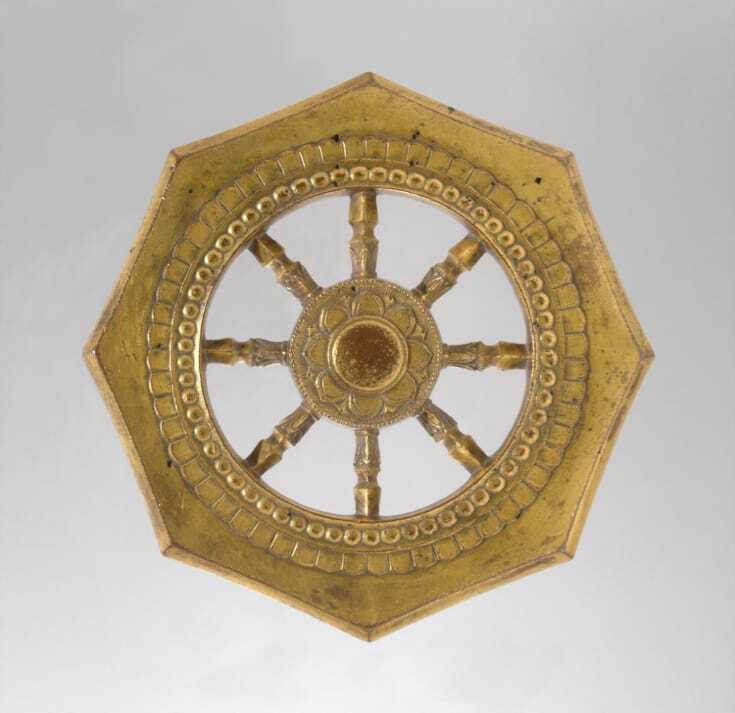 The dharmachakra, or “wheel of the dharma,” which represents the teaching of the Buddha’s Noble Eightfold Path. 13the Century, Japan. Gilt bronze. Photo courtesy of The Met. When the Buddha achieved enlightenment, he also realized something else: that what he’d perceived was so far outside ordinary experience that it couldn’t entirely be explained. So, instead of teaching people what to believe, he taught them to realize enlightenment for themselves. The Second Truth tells us dukkha has a cause. The immediate cause is craving, and the craving comes from not understanding reality and not knowing ourselves. Because we misunderstand ourselves we are riddled with anxiety and frustration. We experience life in a narrow, self-centered way, going through life craving things we think will make us happy. But we find satisfaction only briefly, and then the anxiety and craving start again. The Third Truth tells us we can know the cause of dukkha and be liberated from the hamster wheel of stress and craving. Merely adopting Buddhist beliefs will not accomplish this, however. Liberation depends on one’s own insight into the source of dukkha. Craving will not cease until you realize for yourself what’s causing it. 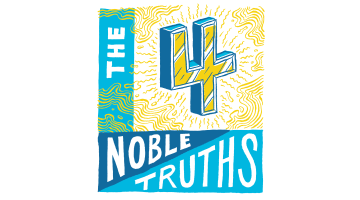 The Fourth Truth tells us that insight comes through practice of the Noble Eightfold Path. The Eightfold Path might be explained as an outline of eight areas of practice ― including meditation, mindfulness, and living an ethical life that benefits others ― that will help us live happier lives and find the wisdom of enlightenment. Head of Buddha. 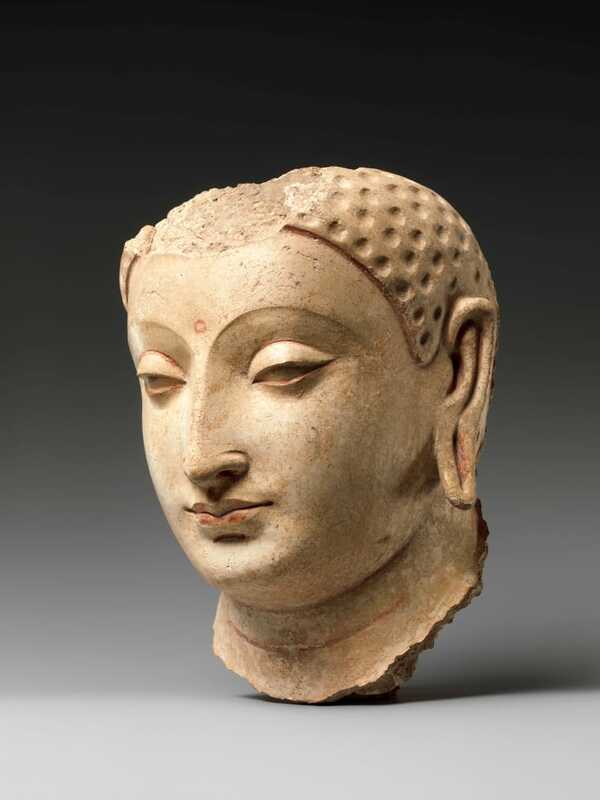 5th-6th Century, Afghanistan. Stucco. Photo courtesy of The Met. People imagine that to be enlightened is to be blissed out all the time, but that’s not the case. And achieving enlightenment doesn’t necessarily happen all at once. Very simply, enlightenment is defined as thoroughly perceiving the true nature of reality, and of ourselves. Enlightenment is also described as perceiving buddhanature, which in Vajrayana and Mahayana Buddhism is the fundamental nature of all beings. One way to understand this is to say that the enlightenment of the Buddha is always present, whether we are aware of it or not. Enlightenment, then, is not a quality that some people have and others don’t. To realize enlightenment is to realize what already is. It’s just that most of us are lost in a fog and can’t see it. Not exactly. For one thing, the several schools and denominations of Buddhism do not all use the same canon of scriptures. A text esteemed by one school may be unknown in another. Further, Buddhist scriptures are not considered to be the revealed words of a god that must be accepted without question. The Buddha taught us to accept no teaching on authority alone, but to investigate it for ourselves. 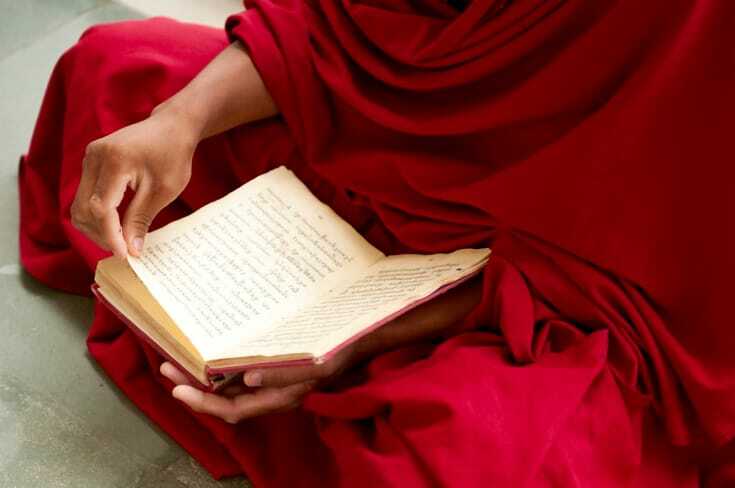 The many sutras and other texts are there to guide us, not to indoctrinate us. The important point is that Buddhism is not something you believe, but something you do. It’s a path of both personal discipline and personal discovery. People have walked this path for 25 centuries, and by now there are plenty of directions, signposts and markers. And there are mentors and teachers for guidance, as well as many beautiful scriptures. Barbara Hoetsu O'Brien has been a student of Soto Zen Buddhism since 1988, studying with the late John Daido Loori and Jion Susan Postal. Her writings on Buddhism have appeared on the websites of The Guardian and Tricycle, and for eight years she was the "resident expert" on Buddhism for About.com. She is the author of Rethinking Religion: Finding a Place for Religion in a Modern, Tolerant, Progressive, Peaceful and Science-affirming World.